Sylvie Ritter, Managing Director of Baselworld, has decided to hand over the management of the World Watch and Jewellery Show. "After 26 years with the MCH Group – 15 of which were as Managing Director of Baselworld – it's time for me to start something new and take on new challenges", says Sylvie Ritter in explaining her decision. She led and guided Baselworld with passion and expertise and made it the industry's flagship event. The members of the "Comité Consultatif" very much regret Sylvie Ritter's departure and would like to thank her for her strategic positioning of the show in a manner commensurate with the market and for the always excellent organisation of Baselworld in operational terms. "Sylvie Ritter has made her mark on Baselworld for decades and has been the most important personal contact for the exhibitors at Baselworld," says François Thiébaud, President of the Swiss Exhibitors' Committee. Eric Bertrand, President of the Baselworld Exhibitors' Committee also stresses that "we have always appreciated her exceptional commitment and her excellent knowledge of the industry." The departure of Sylvie Ritter is also greatly regretted within the MCH Group. "She has shaped and directed Baselworld with great passion and professionalism," says CEO René Kamm. "We very much regret her departure and I would like to thank her on behalf of the entire MCH Group for her extraordinary commitment during her many years of activity within our company." 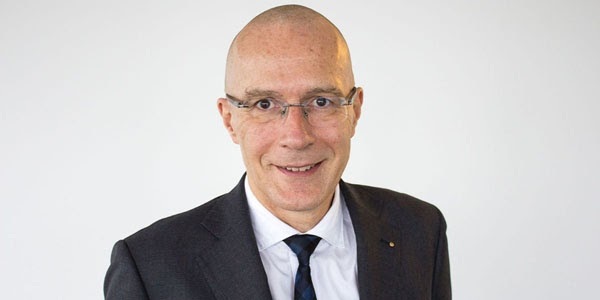 Michel Loris-Melikoff, who joined the MCH Group three years ago as Director of MCH Beaulieu Lausanne SA, will be the new Managing Director of Baselworld. The transfer of management will take place on 1 July 2018. "We are pleased to have found a very competent successor in Michel Loris-Melikoff," says René Kamm. Michel Loris-Melikoff is a 53-year-old lawyer who started his career in private banking, before switching to entering the event industry 20 years ago. After six years as President of the Zurich Street Parade, he took over the management of an event agency that drew up and implemented concepts for national and international events staged by international sports associations, public entities and private companies. He then took over as Managing Director of the "St. Jakobshalle" in Basel, before joining the MCH Group. In his function within the MCH Group, he has been able to achieve significant progresses in Lausanne. The MCH Group and the Fondation de Beaulieu recently decided to adjust their future collaboration. The smooth handover of the running of Beaulieu Lausanne to the Fondation de Beaulieu is assured. "We will be expanding the Baselworld team and further developing the event to continue along the path of quality enhancement and to meet the challenges of the future", explains Michel Loris-Melikoff. "We will also be setting new accents so as to position Baselworld as the leading marketing and communication platform for the industry. We are tackling this task with a large number of new ideas and with valuable inputs from exhibitors, visitors and the media." Hence Loris-Melikoff has announced an initiative especially for the jewellery segment. New concepts are also being worked out for the watch and precious stone sectors, which are to be presented shortly. Further innovations are being introduced in the fields of catering, hospitality and events so as to meet the requirements of exhibitors and visitors to an even better extent. It is already clear that Baselworld 2019 will be open an entire day for the media representatives. The exhibition newspaper, "Baselworld Daily News", will be coming back in printed form and with a new concept. In parallel, the digital information and communication offerings launched in 2018 will be intensified and supplemented by new services for exhibitors, visitors and the media.